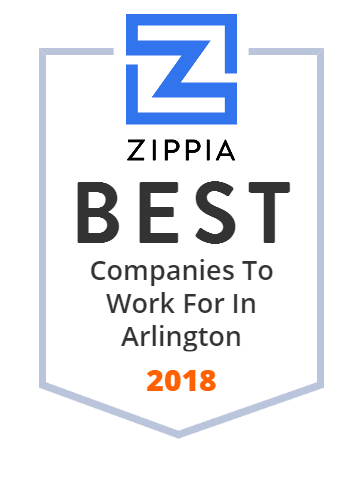 We hand-curated a list of the best companies to work for headquartered in and around Arlington, VA using data on salaries, company financial health, and employee diversity. Pacific Architects and Engineers is an American defense and government services contractor. The Nature Conservancy is a charitable environmental organization, headquartered in Arlington, Virginia, United States. Its mission is to "conserve the lands and waters on which all life depends." Their vision is to have a world where people protect nature, for the people today and the future. Their roots started in year 1915, when a group of activists and scientists trying to resolve and save the threatened natural areas. Later in 1951, Nature Conservancy was established having agreed to one mission. A company that provides professional and technical services. These includes areas of global health, education, IT infrastructure, international security & intellegence, law enforcement, conference planning & support, civilian response operations, and conflict prevention. Their base of operations is located at 1320 North Courthouse Road, Suite 600, Arlington VA. It was founded in year 2000 and its main objective is to help solve problems through strategy, operations and information technology. Rosetta Stone Inc is an education technology software company that develops language, literacy and brain-fitness software. They are best known for their language-learning products. The company was founded in 1992 and later in 2013 expanded and adapted into education-technology. Their goal is to help and change people's lives through the power of language and literacy education. Because of the innovations of digital solutions, it brought positive learning outcomes for enthusiast learners, may they be at their homes, schools or workplaces. CACI International Inc is an American multinational professional services and information technology company located in Arlington, Virginia, United States. Their services provide support for national security missions, government intellegence, defense and federal civilian customers. Awarded as a "Fortune World's Most Admired Company." They offer career opportunities for military veterans and industry professionals aid the nation's most critical missions. Their slogan is "Information deployed. Solutions Advanced. Missions Accomplished. Avalonbay Communities is trusted for its name when it comes to multifamily housing. They are known in developing, redeveloping, acquiring and managing apartment homes. Their mission is to be the leading apartment company in selected US markets by providing distinctive living experiences that customers value. Their core values are commitment to integrity, doing the right thing always, a spirit of caring, genuine kindness and concern for others, focus on continuous improvement, and always try to get better. Interstate Hotels & Resorts is the world's leading hotel management company. They started in 1960 with a single motel and later expanded to operating Howard Johnson properties, then in the later 1970s, they partnered with Marriott, which built their expertise in the hospitality industry. Having this rich history, and combined team experience, they've become and continues to be the leading, multinational hotel operator worldwide. Insterstate Hotels & Resorts now has a 84,000-room hotel they proudly represent. Also known as National Rural Electric Cooperative Association is headquartered at 4301 Wilson Blvd Arlington, VA 22203. They are formed by America's Electric Cooperatives and is a non-profit organization comprised of more than 900 member cooperatives. They are dedicated in promoting, supporting and protecting the national interests of cooperative electric utilities. They keep up to their mission "Our purpose is to empower communities and empower members to improve the quality of their lives." The Public Broadcasting Service (PBS) is an American public broadcaster and television program distributor. It is a non-profit organization and is the most prominent provider of government-funded educational television programming to public television stations in the United States, distributing series such as Nova, Daniel Tiger, PBS NewsHour, Masterpiece, Nature, American Masters, Frontline, Washington Week, and Antiques Roadshow. Synectics' slogan is "Making Data Meaningful." It is a firm focused on research, statistics, technology and data science. They are comprised of academics and technicians who support federal agencies and other clients. Began their business in 1969 having the goal of satisfying clients. They're fond of collaboration and innovation and has a passion to deliver the highest quality services. At Stouffer's, we've been feeding friends and family since 1924. Our frozen dishes are made with ingredients you can feel good about. Otherwise known as International Foundation for Electoral Systems. The group was created in 1987 to support citizen's right to participate in free and fair elections. Their expertise helped strengthen the election systems and sustained democracy. Being the global leader in democracy promotion, they advance good governance and democratic rights by providing technical assistance, empowering the underrepresented and applying field-based research. USJ-IMECO Holding Company, LLC provides turnkey marine joiner, distributed and electro-mechanical systems and solutions for government and commercial customers involved in new ship construction and vessel maintenance, repair and overhaul. The company is based in Crozet, Virginia.